Abbotsford – Pro basketball is coming back to BC. But will it stick around this time? 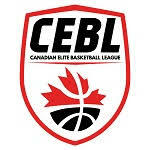 CEBL The Canadian Elite Basketball League announced it’s second franchise, located in Abbotsford and playing out of the Abbotsford Centre. This is not the first time that Pro hoops have come our way. The NBA Vancouver Grizzlies (1995-2001) were mismanaged right from the start (by the league and the owners, Orca Bay). They played out of then GM Place (now Rogers Arena). They almost headed to St.Louis but that was nixed by the NBA. The team ended up in Memphis. Before that, the WBL World Basketball League started in 1988 as the Vancouver Nighthawks played one season in BC Place. That league folded in 1992. The Canadian Elite Basketball League (CEBL) is pleased to announce its second team naming Fraser Valley Professional Basketball Club (team name to be chosen at a later date) just one week after announcing Guelph, Ontario as its first territory. The Abbotsford Centre, a multi-purpose venue committed to serving as a leading Canadian sports & entertainment facility, is proud to be working with the CEBL’s Launch Committee in bringing professional basketball to the Fraser Valley region in British Columbia. The team will appoint a Director of Operations in the coming weeks, after which the organization will begin connecting with its host communities. The Abbotsford Centre’s events are currently drawing from its host community (Abbotsford) as well as the surrounding municipalities including Langley, Surrey, Mission, Chilliwack, Maple Ridge and Hope. “This team in Fraser Valley will be one for all of the region’s fans to call their own. The Fraser Valley is a vibrant and rapidly growing region that we are excited to be a part of.” said a member of the league’s Launch Committee. The CEBL’s Launch Committee will appoint a Director of Operations for the Fraser Valley territory in the coming weeks. The public is encouraged to apply for the position by sending applications to the league office via the email address below. League officials have yet to announce a start date for the league’s inaugural season, however, they can confirm that Fraser Valley will begin operations immediately. In the coming months, more announcements will be made regarding plans for the Fraser Valley territory. Sport entertainment fans, media, and stakeholders will be invited to join the team for its inaugural press conference, at which time fans will be asked to engage in the team’s name the team contest. For more information and updates, fans are encouraged to visit the team’s page on the CEBL website. The Canadian Elite Basketball League (CEBL) is a domestic professional men’s basketball league with teams located across Canada. The CEBL will provide sports fans with a premium entertainment option while also allowing players, coaches and other stakeholders the opportunity to engage in the sport of basketball at the highest level. The CEBL will operate in accordance with the player and referee standards set by Canada Basketball, the National Sporting Organization for the sport of Basketball in Canada. The league will proudly adhere to the International Basketball Federation’s (FIBA) rules and regulations. Be the first to comment on "Canadian Elite Pro Basketball League Comes To Fraser Valley"